Seocho Gangnam Station map has been renewed. 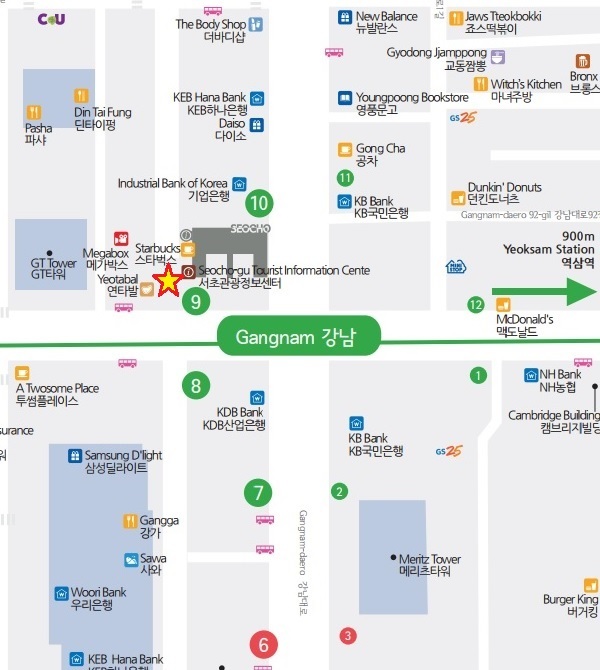 The Seocho Tourist Information Center’s Seocho Gangnam Station map has been updated. The renewed map has been updated with new designs, as well as restaurants and major tourist attractions around Seocho and Gangnam stations. So if you come to Gangnam Station, please come to Seocho Tourist Information Center and get a various travel information with a map of Seocho Gangnam Station, which has been renewed. We will always try our best to help tourists whose who travel around this area.